Last month, a Colorado state jury officially declared that Cinemark, which is the third largest theater chain in America, is not to be held responsible for the fatal Colorado theater shooting carried out by James Holmes in 2012. Now, Cinemark is asking for all of the victims involved with the case to pay legal fees for what happened the night of July 20 nearly four years ago. Cinemark filed all the paperwork last week. The chain is asking for $699,187.13 in legal fees and other costs, sending the bill directly to the nearly 30 plaintiffs in the case, working in consolidated action. The victims and the surviving family members of those killed are now being held responsible for these costs that have accumulated through this ordeal. James Eagan Holmes was convicted on 24 counts of murder and 140 counts of attempted murder after opening fire shortly after midnight inside a theater screening of The Dark Knight Rises in Aurora, Colorado. Having no prior criminal record, the man also booby-trapped his apartment with explosives, which had to be defused by a bomb squad. The incident left 12 people dead and 70 injured. The man was arrested immediately after the shooting and jailed without bail while awaiting trial. He was later hospitalized after attempting suicide several times while in jail. Holmes entered a plea of not guilty by reason of insanity, which was accepted. His trial began on April 27, 2015, and on August 24 he was sentenced to 12 consecutive life sentences plus 3,318 years without parole. State law in Colorado allows the winning side in a civil case to seek redemption for acquired legal costs and court fees. This is true of many states throughout the U.S. Cinemark won their state case on May 19 going up against a 6-person jury. The jury delivered a unanimous verdict that stated the chain was in no way responsible for the massacre, not even partially. Thus far, Cinemark has not responded to requests for comment. It was stated last month by Plaintiffs' lawyer Marc Bern that an appeal of the verdict would likely be filed. Deadline speculates that the current fees and cost filings could be a way for the chain to stop an appeal in return for dropping the financial action. Cinemark had a federal case on the matter dismissed. U.S. District Judge R. Brook Jackson had this to say about the ruling. "The Court concludes that a reasonable jury could not plausibly find that Cinemark's actions or inactions were a substantial factor in causing this tragedy." 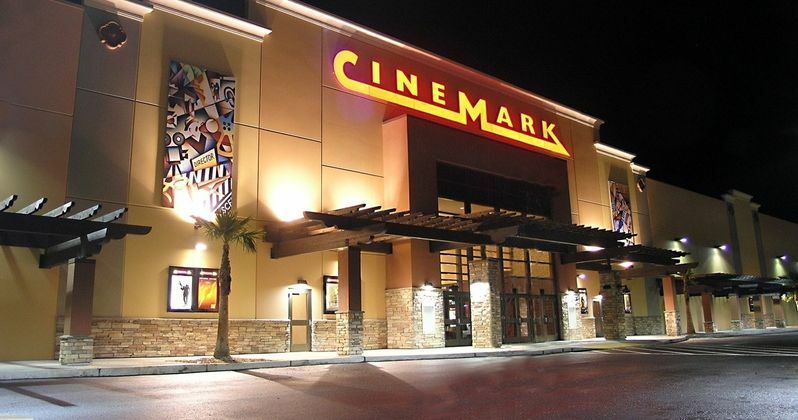 The federal case awarded Cinemark with 'reasonable costs'. The theater chain has not yet sought out any payment for that ruling yet, though. We will be sure to keep you updated as more news on this story breaks.